ASCE and the civil engineering profession have taken several important strides in advancing the profession, and we have many exciting opportunities on the horizon. Dream Big continues to inspire a new generation of civil engineers – now our members can donate $5 to put a DVD copy in a school of their choosing. Our Industry Leaders Program is implementing an ambitious new Future World Vision program that will explore and assess an array of future trends and innovations, then visualize the role of the profession and ASCE under a new paradigm. We continue to build on our sustainability and resilience efforts following the International Conference on Sustainable Infrastructure last October. And we are actively advocating for the adoption of clearly defined solutions to our nation’s investment challenges, all in an effort to protect the public health, safety, and welfare, consistent with the Society’s vision and Code of Ethics. 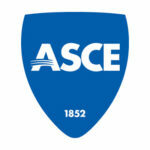 All in all, ASCE is accomplishing big things, and we have an exciting path ahead of us. Why do these goals matter to you? These goals will be crucial to ASCE and its members as we look to the future of our profession. They will direct the day-to-day decision making that will help your voice stand out in professional matters, such as advancing careers, serving the public good, and influencing public policy. In our March meeting, the Board discussed results presented by the Board Strategic Advisory Council, which had collected feedback on the best strategies to carry out ASCE’s six goals. As a result, the Board approved more than 40 strategies that will help us to execute our goals. 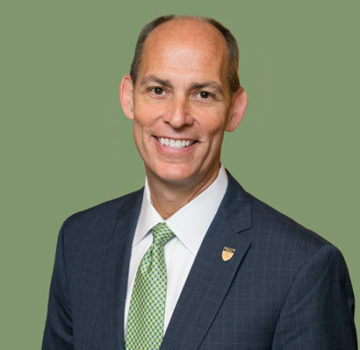 I look forward to your feedback on the progress we have made so far, and in finding new strategies that will advance the profession and provide our members with the value they deserve. From displaying civil engineering on IMAX screens across the world to a new Report Card updating the state of U.S. infrastructure, ASCE had an eventful year in 2017. Take a look at ASCE’s 2017 Annual Report. Women are clearly making their presence felt in civil engineering, while their overall percentage in the profession advances slowly. ASCE News talked to ASCE members to collect insights and perspectives in order to examine issues in the engineering profession. Read the series and join the discussion in ASCE Collaborate. Engineering career advisor Anthony Fasano answers your job search questions in the profession based on personal experience. Fasano offers valuable tips to consider for your next job interview. Read more on ASCE News. Getting a copy of Dream Big: Engineering Our World into every public school in the United States is no small feat, but ambitious Society groups are taking on the challenge. Learn how members are stepping up to inspire students across the country to Dream Big. Want to join the movement? Donate a DVD to a school for only $5. ASCE members participated in the Society’s flagship annual advocacy event, the Legislative Fly-In. Attendees delivered the message to Congress that infrastructure investment matters. Read more about this year’s event. Have you taken the 2018 Salary Survey? Participate in ASCE’s 2018 Salary Survey and see where you stand when the ASCE Salary Report is released this summer. The report creates a snapshot of the current and long-term trends related to compensation and benefits in the U.S. civil engineering industry. Take the Salary Survey. Goals 5 & 6 should have included ASCE members being active in community affairs and public service positions.